While I have been working on a series considering Boba Fett in television and movies, I wanted to take a diversion. Having recently dealt with Jango Fett in Star Wars Episode II: Attack of the Clones, in which we actually find out about him, I wanted to take some posts to explore his character more in-depth. While Attack of the Clones represents the only time that Jango Fett appears in either television or movies, he does appear in several graphic novels. While I have tended to stick to simply on-screen Star Wars content, this marks the first time I am seriously considering printed material. The first of these comics appeared months prior to the release of “Attack of the Clones”. 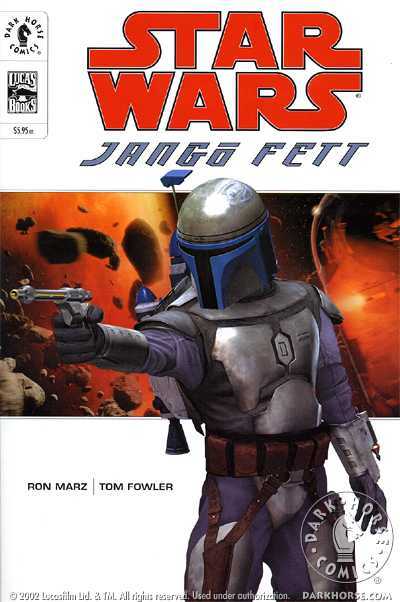 Released by Dark Horse Comics, the first graphic novel about Jango Fett was called Star Wars: Jango Fett, which was first printed in January 2002, with the story created by Ron Marz. 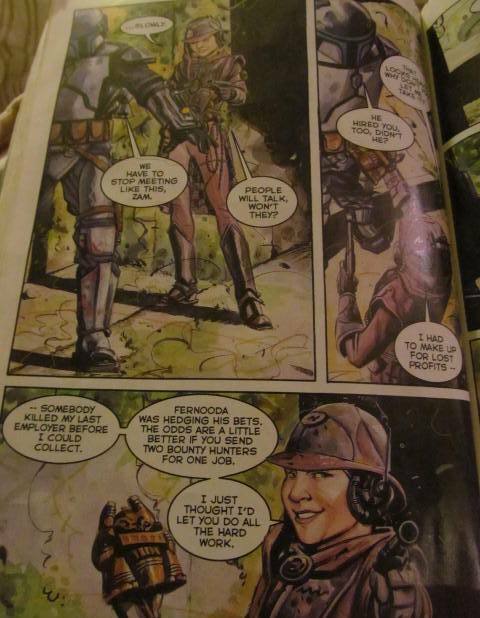 Focussing on Jango Fett doing a couple of jobs, it also shows briefly his relationship with his son, Boba, and his run-ins with Zam Wesell. 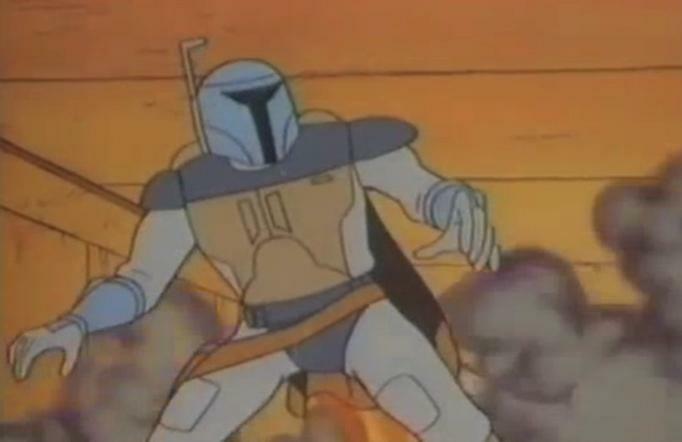 Jango Fett is able to successfully complete both of his jobs and does it without much fanfare, although he is shown as a hard worker and fighter. 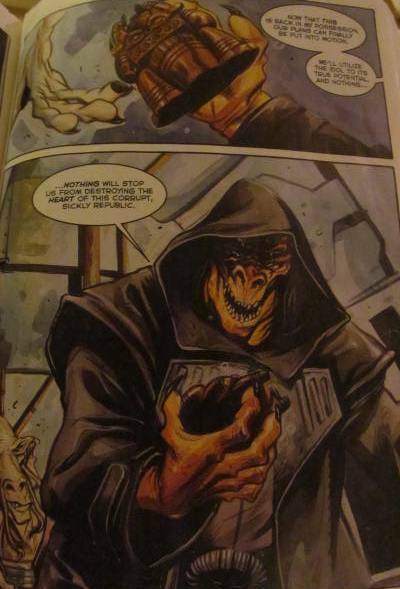 We see that he bumps into Zam Wesell on both of these jobs and that they seem to have a tense relationship as competitors in the same field. After taking care of his first job, he returns to accept payment, when he sees that his employer has been offed by Zam Wesell, who was hired by the mark of whom Fett had taken care. 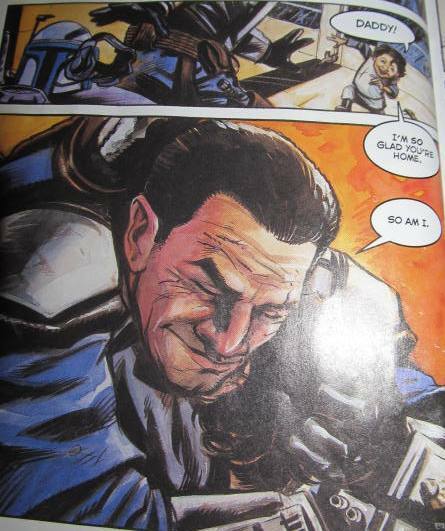 This book primarily establishes Jango Fett as an effective bounty hunter who occasionally bumps into Zam Wesell – albeit in a competitive way. It is also interesting to consider who/what is in charge of Boba whilst he is away. 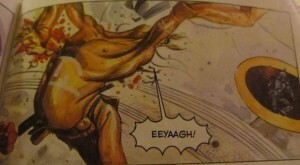 This book answers it by placing a droid (MU-12) taking care of his son, Boba.